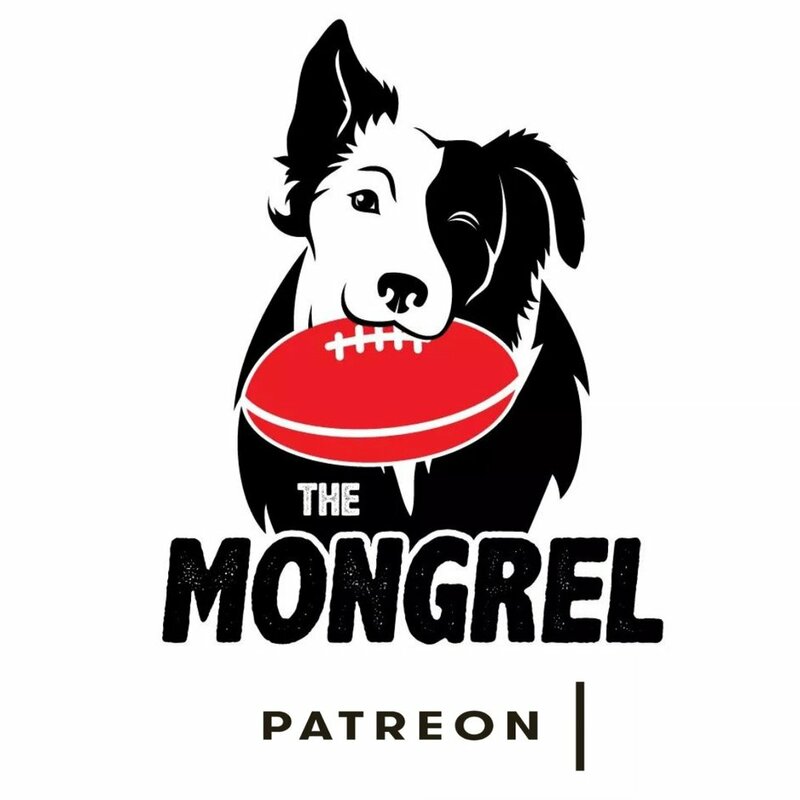 The Mongrel's Player Power Rankings — The Mongrel Punt Become a Patron! Has The Mongrel hit the big time? Well, we’ve got a sponsor for our Power Rankings. Thanks to the boys at Vinyl Media for believing in what we do. We’ve rejected multiple sponsorship deals so as not to sell out to agencies we don’t believe in - betting agencies. You could do us a big favour and check out what the guys at Vinyl Media can do for you or your business. They’re a great bunch. Support those who support The Mongrel. Need some printing or signage done? A Wrap or Decal? Vinyl Media are your guys. Click the image to check them out. But that’s just sinking the boots in at the moment, and given what we’re about to delve into, there are some aspects of the season that are reason to celebrate for the Blues, despite of the results of the team. Now I am sure there are those amongst you that are wondering what the hell Power Rankings are. I’ll do my best to describe it for you without completely giving away the way we’re assessing players and ranking them. I mean, if we’re going to do this, it’s gotta be ours, and something you always relate back to The Mongrel Punt. If I’m here, creating spreadsheets, cocking them up, entering the wrong information, and then having to ask my missus to help me (which she does because she’s great like that), then I reserve the right to keep a bit of this process tucked up my sleeve. Power Rankings aren’t a new thing - they are often used in US-Sports to determine which teams are on the rise and fall (as the standings aren’t reflective of that, apparently). Yeah, you might wanna check out how official AFL stats are now compiled and analysed if you think I’m the one doing it - I just like lists and ranking players because I’m a geek. What we’re doing is applying power rankings kind of formulas to player performance to try to capture the dominant individual performances. Not the “20 touches and a goal” kind of games from a mid which look great on a stats-sheet games, but the games that possess an outstanding component. You see Dylan Grimes this past weekend? 13 intercept possessions - dominant. You see Jeremy Cameron in round three? He kicked 7.5 - dominant. How about Brodie Grundy in round four? 50+ hit outs and 23 touches - another powerful performance. They’re the games we rate, and they’re the games that will get recognition in these rankings. An average game doesn’t score with us. A forward kicks three - that’s not special; it’s expected. A mid gets 25 touches - expected. A defender gets 20 touches off half back - great, but how many times did he hit a target? We want the special games; the games that stand out, and the games that make a difference to their team. The ones who do it most often will sit atop these rankings. In this system, when we start ranking players, we do so in relation to the positions they’re actually playing. Jack Martin is a great example. Let’s say he plays forward, as he did in Round Three against the Western Bulldogs. For that contest, he is assessed as a forward and only a forward. That means there is an entirely different set of criteria for him than if he ran through the midfield, as he did in Round Four against the Blues. As a forward, Martin is assessed at a lower trigger point for total disposals, as well as having contested marks, and tackles inside 50 added to the assessment template. Had he played as a midfielder, he would be assessed on a higher trigger point for disposals, as well as other statistical triggers such as a certain number of clearances, contested possessions, uncontested possessions with an efficiency component factored in, tackles and inside 50 deliveries. So the assorted criteria are designed to capture the impact of a player in the position they actually play, with triggers relative to what would be deemed a successful day out. Tom Stewart in the Geelong backline is a great rebounding defender. As such, how he travels in the Rebound 50 stat column is important, but you don’t want to just be rewarding players who receive from teammates and run off, right? So as a defender, there are criteria for intercept possessions, as well as spoils/1%ers. These variations allow for players of different styles to feature heavily in our rankings, and though we’ve tried hard to level the playing field and not have it skewed in favour of mids, I have to tell you… it ain’t easy. That said, what we’ve come up with is a system that’s turned up a few surprises. The usual suspects are there, but there are a few that have added to their teams in ways the media, and even some of the top analysts in the game, don’t really take a lot of notice of. We then add the current coaches votes to player totals, as well as totals from our own 3-2-1 voting system for every game from our own Mongrel Team . Finally, winning matters. It’s what drives the entire season for clubs, and to neglect that would be remiss of me when ranking player performance. What I hoped for when I started this was a list of the best players from the best teams. I wanted players represented who were having an impact on winning teams, and I decided to award bonus points for players performing well in wins. However, one player has been so good he has completely thrown that theory for a loop. I’m sure you won’t need any hints to guess who that player is. So we’ll start with the defenders… a very good place to start. Main scoring attributes of each listed player are listed in italics. These are the categories they’re picking up plenty of points in and may be equal to another category, but I didn’t want to bang on about it and have too many things listed. Here's 10-1 power players in defence. As you can see, quite a mix of styles here. You have your precision kicks in Witherden, Rich and Hurn making the cut, but then you also have your gorillas in Harris Andrews and Nathan Brown making the list purely on their ability to kill contests. Some players seem to be in the mix off the back one dominant performance (Luke Ryan) but I expect that to either be justified as they back up that performance over the next couple of weeks, or fall from the list as a result of being unable to replicate it. For all the grief James Sicily has copped (plenty from me, by the way) his numbers in several categories are outstanding. Stewart has been a monster, racking up points in every facet of the rebounding defender game, and you’d think at this stage, will figure prominently in All-Australian contention again. He reached the trigger point in several categories multiple times, including metres gained, rebound 50s and high disposal efficiency. Whilst the Cats have an incredibly solid defence as a whole, the fact that he has been able to stand out so obviously is testament to his ability to read the play and deliver well when his teammates look to him to get them out of trouble. Partial Wrap for your car? Vinyl Media has you covered. Clink the pic and support those who support The Mongrel. Surprised to see Dahlhaus at number one? I sure as hell was, but as a replacement inside 50 this season, he has brought Geelong exactly what they’ve needed. His tackle numbers were through the roof in the first three weeks of the season, and he got plenty of the ball as well. Whilst many will point to the midfield combination of Dangerfield and Kelly as the driver of the Geelong 3-1 record, the small forward combination of Dahlhaus and Ablett have changed the look of the Cats’ forward structure significantly. Brad Ebert has spent a good amount of time forward, and his ability to win his own ball, apply pressure, and mark in a contest have propelled him up the rankings. As the Port youngsters tire, I expect Ebert to move back into the middle, but as it stands, his time up forward has been extremely impressive. Anthony McDonald-Tipungwuti was virtually unsighted in the first two weeks, but he rebounded in a huge way in rounds three and four. His seven goal brilliance cannot be ignored, but it is his pressure inside 50 that helps him out here, as he has had 3+ tackles inside the arc twice this year. Taberner makes it on the basis of his contested marking driving his performance. He has had 3+ contested marks in three of the four games this season. Imagine if he kicked straight? Another to touch on is Jack Martin, who makes the top ten as a forward despite playing midfield for one game this season and as such, accruing no points as a forward that week. People wondered when he’d break out, and if the first four games are any indication, that break is happening right now. Cool van, huh? That’s what Vinyl Media can do for your business. Click the pic and tell ‘em The Mongrel sent you. Well, Patrick Cripps… congratulations. I designed this to reward the best players on the best teams, with additional points added when players pick up points in wins. With the Blues at 0-4, Cripps has been so damn good that the bonus points for wins haven’t been required to be rated as the best mid in the game… and it’s not as though he hasn’t had some stiff opposition to beat out for that position. A quieter round four probably robbed Danger of the top rating. The same could be said for Tim Kelly, who was electrifying in the first three weeks but couldn't handle the tag in round four. Travis Boak is having a career renaissance in the guts for the Power. The reason he is in here, and Tom Rockliff is not is due to consistency. Had Rockliff not been knocked out against Brisbane, maybe we have a different order. Career best numbers for Bont are reflected here. He is a definite chance to sit atop these rankings if the Dogs can string together more wins. Gawn got off to a slow start, but really started gaining momentum over the last two weeks. Of course, Grundy started to gain momentum a week earlier after an equally unimpressive first up performance. Still, Grundy’s round four efforts were monstrous, and propelled him to the top, in every sense of this ranking structure. McEvoy has been clunking marks all over the ground, but had it taken up to him by Rowan Marshall in R4. It was such a contrast, with McEvoy topping 40 hit outs, but Marshall owning individual clearances. The Saints have found their number one ruckman. Rhys Stanley continues to impress, and has really bolstered the Cats’ midfield. Vinyl Media has got you covered for all your signage and printing needs. Get around them - good blokes! 8th in disposals. 4th in contested possessions. 3rd in clearances. Equal 7th in inside 50s. 5th in disposals. 7th in uncontested possessions. 4th in effective disposals per game. 2nd in contested marks. 5th in hitouts. 3rd in score involvements. 3rd in disposals. 9th in contested possessions. 6th in tackles inside 50. 9th in disposals. 3rd in metres gained. 3rd in inside 50s. 5th in goals scored. 1st in tackles inside 50. 9th in clearances. 8th in score involvements per game. 8th in tackles. 7th for tackles inside 50. 2nd in disposals. 1st in metres gained. 10th in score involvements. Equal 4th in inside 50s. 1st in uncontested possessions. 1st in disposals. 2nd in contested disposals. 2nd in clearances. Equal 9th in uncontested possessions. 6th in contested possessions. 6th in metres gained. 4th in score involvements. 10th in contested marks. 1st in clearances. Equal 4th in inside 50s. 8th in contested possessions. 4th in clearances. 3rd in hitouts. So the difference between Grundy and Cripps at the top is a win. If Jack Bowes doesn’t kick that goal to sink the Blues, those two are neck and neck. Do I feel bad for Cripps? No, not really. As I said previously, I like to reward winning, and if a win is the difference between first and second place overall, I am quite content with it. Four Cats in the top ten? They had a blistering start to the year, and at 3-1, their players deserve recognition for individual brilliance. Obviously Dahlhaus is the player flying under the radar of most, with his pressure and ability to win the ball as a small forward really demonstrating his value to the Cats. Wonderful recruiting by Geelong. GWS with three in the top ten is also unsurprising, particularly considering the quality of those three players. Cameron scored heavily in the game he kicked 7.5, and Coniglio was sublime in round one. I felt the best of them was Whitfield, so it was gratifying to see him the highest rated Giant. Where are the Eagles? Good question. They have such a balanced team that players have had very good games, but those games are spread evenly amongst a good number of players. You tell me – who has been THE standout? Sheed? Was great on the R1 loss, and his three goals against the Pies were telling, but was deathly silent in R4, and played a decent role in R3. He currently sits as the 21st ranked mid. Shannon Hurn is the highest ranked Eagle, sitting fifth amongst defenders, and in the next handful after the top 25 overall. Nat Fyfe still sits in the top 25 despite sitting out one week with a concussion. I think it’s safe to say he’ll be a staple in these rankings if he stays healthy. All up, we have 12 mids, two defenders, five rucks and six forwards - not a bad spread considering Rance would usually be in something like this (intercepts) and Jeremy McGovern is yet to really have a big game this season. In truth, I’d like to see a couple more defenders make the jump into the mix, but it might take a few more rounds to get them up to speed. Tom Rockliff, Ben Cunnington, Tim Taranto, Daniel Rich and Josh P Kennedy. An extra win by their teams sees them crack the list above. So there we go, the first Mongrel Player Power Rankings of 2019. This will be updated every fortnight, with emphasis on the more recent performances of players. The stuff they do early in the season will still count, but as this is a Power Ranking system, it is weighted to favour those who are surging. If some of those on the cusp on the top 25 have a good couple of weeks, we could see significant gains. So what do you think? Who is being robbed? Who is overrated? Can you take off your team-coloured glasses to look at it objectively, or do you prefer to keep them on? Let us know… and let the debate commence. Once again, we’d like to thank our friends at Vinyl Media for seeing the oak tree in the acorn with The Mongrel Punt. As a foundation sponsor, we are extremely proud to be associated with you, and hope for a long, prosperous relationship.